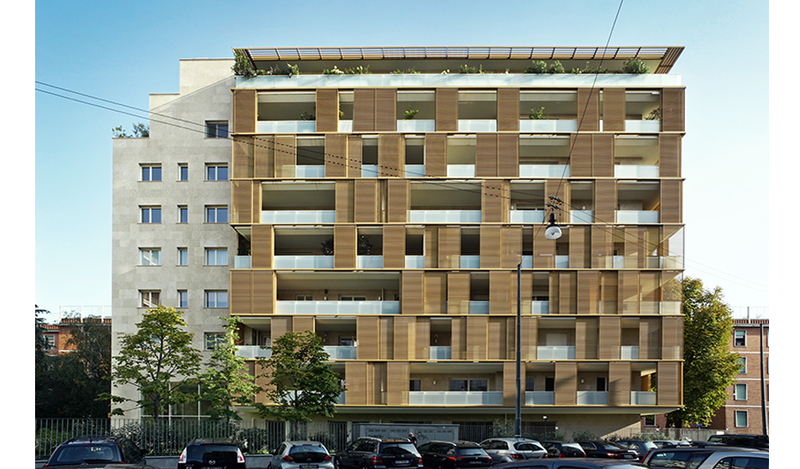 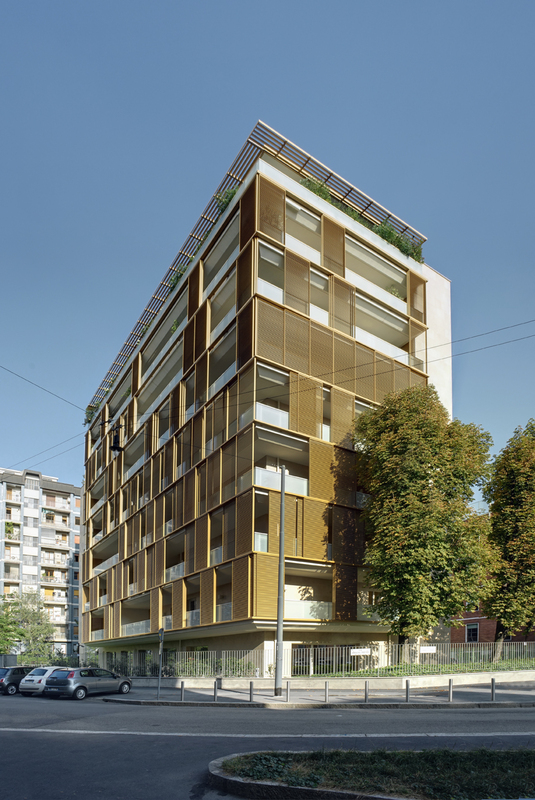 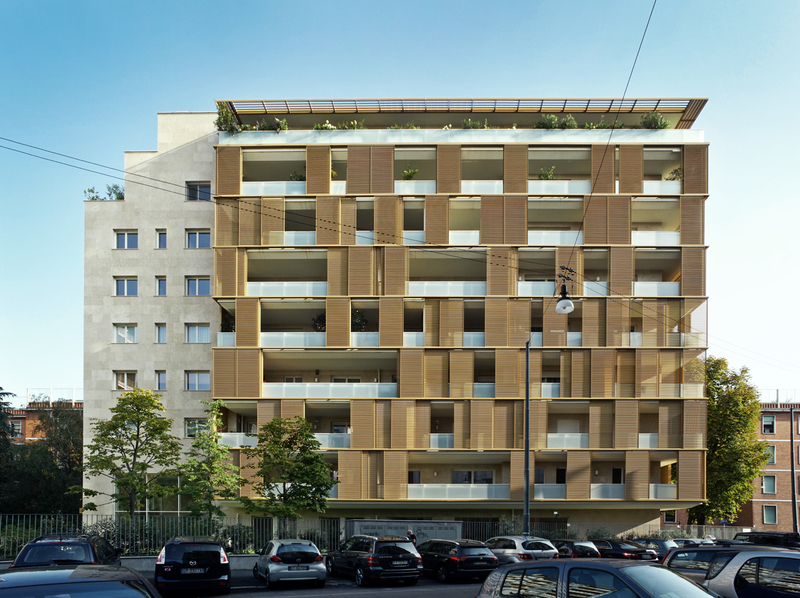 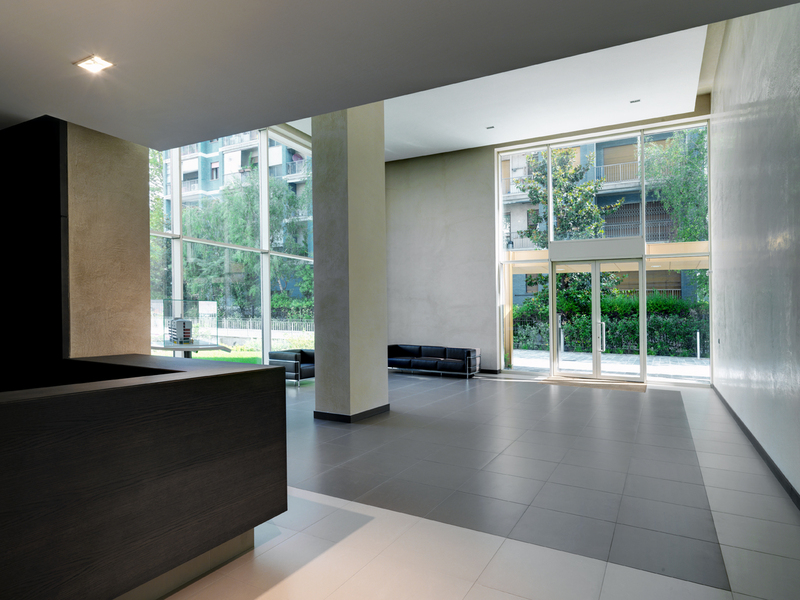 Leone XIII Residential Building – In collaboration with Beretta Associati. 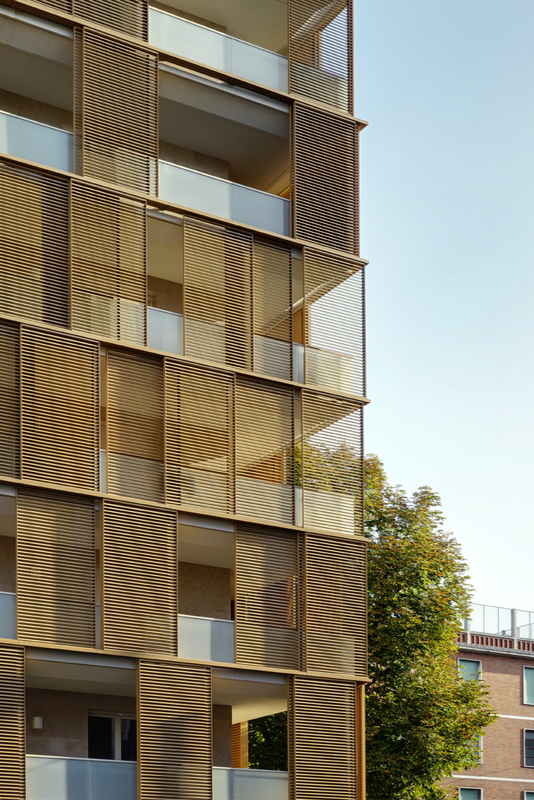 Eight floors plans residential block with three floors of underground parking associated with a garden accessible from common areas and a fitness underground centre. 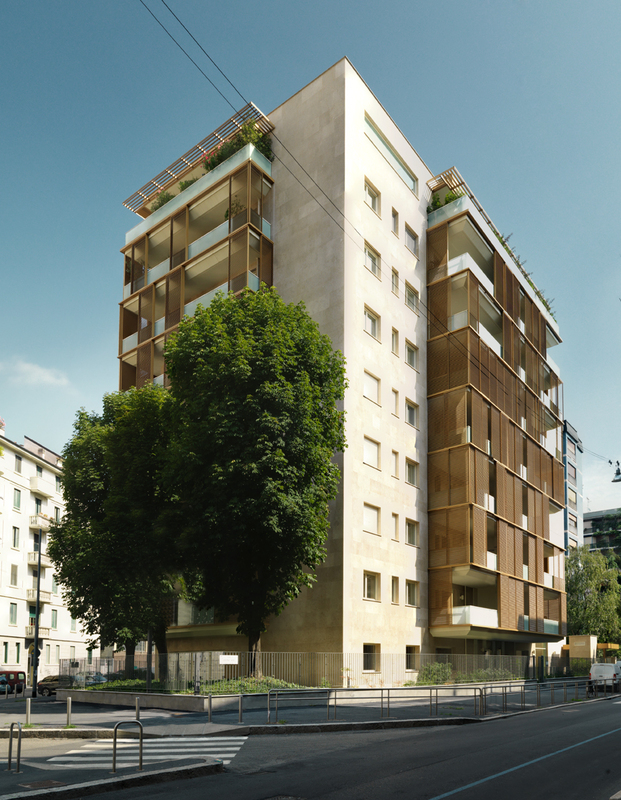 The building, located between Via Ippolito Nievo and Via Leone XIII is characterized by a façade made by brise-soleils that give continuity to the entire volume.